Interested in buying a New Construction Home, but not quite sure where to start? 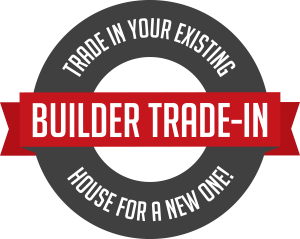 The Haro Group’s Builder Trade-In Program is here to help. We have a team of experts that specializes in making sure you get the New Construction Home that fits your life in Upstate South Carolina. Our agents work with builders every day. That means The Haro Group can walk you through all of the options available to you in the Upstate, clearly explain the new construction process and help you make the most informed decision about which builder, model and neighborhood is right for you. If you’re a current homeowner, this program could also put more money in your pocket. The average Haro Group Builder Trade-In client saves between $5,000 and $7,000. Going from an existing home to a new home? Sell your home to us. The Haro Group buys your home directly from you as a guaranteed purchase, allowing you to move forward without ever listing your house. The price you’ll get with this option will more closely resemble wholesale value. Convert your home into an investment property. Through the Builder Trade-In Program, The Haro Group handles the front-end operations associated with renting your home. Home Staging: To ensure the best presentation, we consult with a professional stager when needed to prepare your home for sale. Professional Photography: We have a photographer on staff to make sure only the best photos highlighting the features of your home will be placed online or in any publications. Advertising: We spend $25,000 of our budget every month, attracting hundreds of buyers and increasing awareness of our brand. Move forward with a new construction home while abiding by the terms of your lease. We have a number of creative solutions we can pursue to help you move into a brand-new home. The Greenville real estate market is hot right now. New construction is making up for the lack of inventory keeping a lot of people from finding a home. The Haro Group’s commitment to being the number one source for information on new construction homes in the Upstate of South Carolina ensures we’ll be able to match you with the perfect current neighborhood or help you explore options at the next community that hasn’t been announced to the public yet.